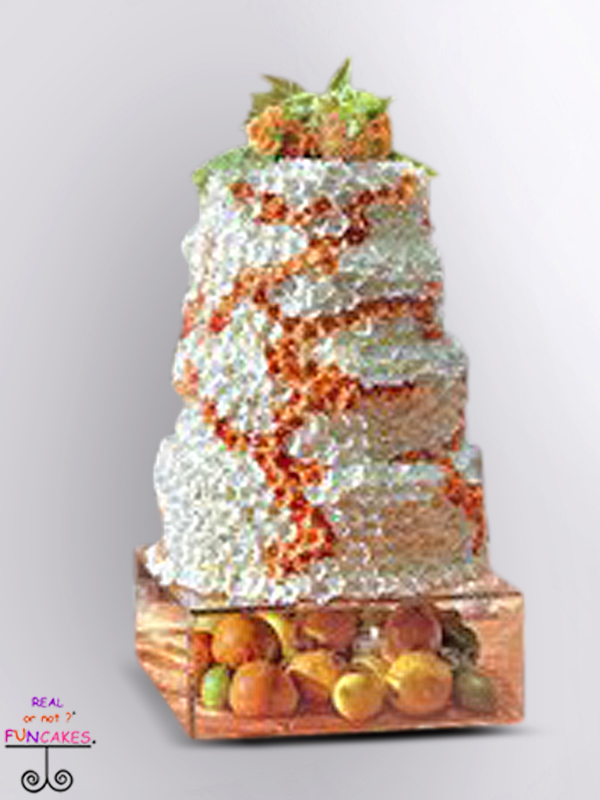 The Sage Cake Stand is a custom design cake stand by FunCakes. Hand crafted from acrylic. We have designed a square acrylic cube, ready for you to fill with anything you wish to match your wedding. We suggest tulle fabric and lights, to give your cake a glow. Shown with fresh fruit.